The Perseids are coming! The Perseids are coming! – Fancy Nancy says…. Mark was body-surfing. I was watching both a bit nervously and also so thrilled by how good he was at it and how he was so much himself in the water. He knew and respected the water. Fire Island waters were much like the Rockaways (rough) where he spent many summers.I was on the beach standing under the umbrella with my fab fan hat you see here from my friend Laurie. As Mark stepped out of the water this large bit of beautiful sea grass with green almost cucumber-like tendrils washed up right next to him. He spontaneously scooped it up and placed it on head. He put it on perfectly just as you see it, in one smooth move. We laughed our asses off, to use his turn of phrase. And he wore his new “do” up the beach carrying his beach chair and the umbrella to the house where Laurie snapped this photograph, with a film camera. Rasta-Mark. For me it was a perfectly natural thing for Mark to do. He loved to have fun and even though he would never admit it, he liked being silly. Without Mark in the picture my relationship with summer is an in love/out of love relationship. I don’t do well in the heat. Humidity makes me dizzy, makes my hair frizz, gives me a headache and makes my allergies flare. I stay out of the sun. I love the ocean but without my rasta-guy pictured here I don’t feel as safe and confident in the surf as when I did with him. And besides I have Keratin on my hair and the salt water messes that up. Still I love getting the silky feel of the water rippling around me. I do love the deep wide sunsets of an August evening like a painting or a photograph and I sometimes feel he is right there next to me enjoying the view. And he would share this with his friends and family in case they wanted to see a spectacular sky show…so I am doing the same. Coming up Weds late August 12 to 13th Weds night/Thurs 2:00 a.m. and on what hopefully will be a clear and dark night here in the east in mid-August we can all view the Perseids a night of shooting stars. Very cool. Mark and I more than once were down on the beach to see The Perseids . It’s a media shower of epic proportions if everything is alignment. Dark night. No clouds. And I cannot help but wonder if all of those we loved and have moved onto the cosmos, the universe, heaven or on another plane might be there too. In any case why not get thee to a beach or someplace dark and enjoy sky show known as the THE PERSEIDS. 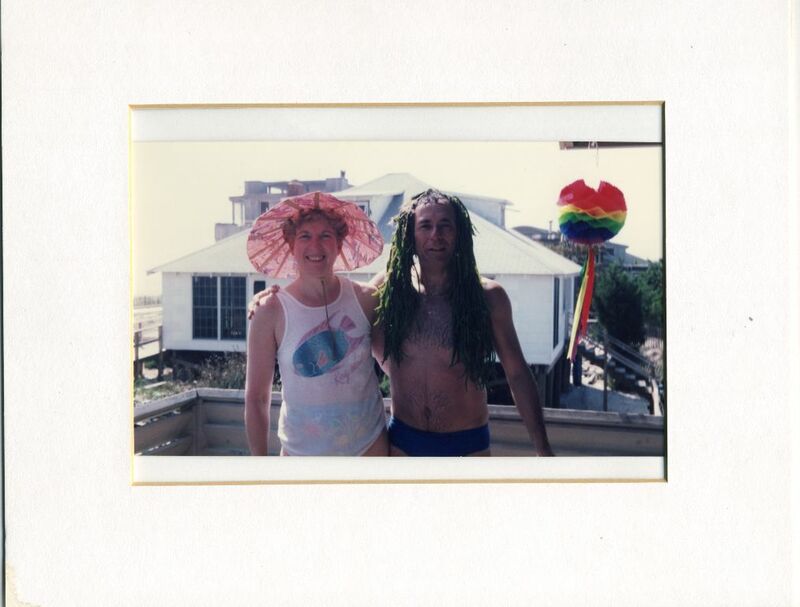 Posted in Fire Island Summer and tagged august, beach, fire island, perseids, summer. Bookmark the permalink.